Brow lift is one of the many facial rejuvenation procedures that we offer at Restore SD Plastic Surgery. The goals of brow lifting are to raise the eyebrows back to a normal anatomic position at the level of the upper eye socket bone. There are many ways of safely and successfully performing the operation and it is commonly done in conjunction with other facial rejuvenation procedures as part of comprehensive facial treatment. Your Restore SD surgeon will perform a complete facial analysis and discuss a treatment plan that optimizes your result. Brow lift is a procedure that can benefit both women and men. There are a variety of surgical techniques that can involve a camera-assisted minimally invasive technique or an incision along the scalp or hairline. Direct lifting above the eyebrows and elevation with a hairline incision are other common options. Often, patients will be good candidates for upper and lower eyelid surgeries or facelift at the same time. Your Restore SD surgeon will partner with you to determine the technique that best meets your goals and can be accomplished in a safe manner that optimizes healing and your appearance. Brow lift surgery is performed under general anesthesia in an accredited ambulatory surgery center or hospital setting. The procedure can take from 1 to 2 hours depending on the technique used and the extent of surgery performed. The camera assisted brow elevation technique requires a small absorbable implant to be placed at the upper part of the forehead. This small implant may be felt for several months before it dissolves and goes away. In order to maximize the result, the forehead muscles are generally treated with BOTOX® Cosmetic during surgery to keep the muscles from moving while you heal. A lightly compressive head dressing is applied at the end of the procedure. Once you have recovered from the anesthesia you can return home, as brow lift surgery is an outpatient procedure. You should arrange to have a responsible adult drive you home and stay with you for the next one to two days. Some surgical pain is expected and treated with pain medications. Depending on the technique used, you may have stitches or staples at the incision sites. Your Restore SD surgeon will see you frequently after surgery and determine optimal timing for suture or staple removal. Two to three days after surgery your dressings will be removed and you will be able to wash your hair. You will use antibiotic ointment over the incision sites until they are fully healed. When the camera assisted technique is used, a small absorbable implant is used to hold the brow in its new position. The implant dissolves over several months and it may be felt high on the forehead near the hairline in the months right after surgery. Most patients can return to work after 1 to 2 weeks. It is generally safe to start applying makeup after 2 weeks. Normal daily activities such as showering, eating and light activity such as walking can be resumed within 24 hours after surgery. Some post-operative swelling is normal and resolves in the first 4 weeks in the typical patient. You should refrain from intense physical activity for 4 weeks. During the recovery period, you will have follow up with your Restore SD surgeon and will be guided back to your usual activities. Most complications occur from getting too active too early, so select a surgical date that allows an appropriate amount of time to heal and gradually return to your more vigorous activities. Brow lift is frequently performed in association with other facial rejuvenation procedures such as eyelid surgery and facelift. Injectable fillers, BOTOX® Cosmetic, and laser treatments are all possible at the time of brow lift surgery. You can discuss additional procedures such as breast augmentation, tummy tuck, or liposuction with your Restore SD surgeon to determine what may be safely done at the same time. What happens at my brow lift consultation? When you arrive at Restore SD Plastic Surgery to discuss a possible brow lift, your Restore SD surgeon will perform a thorough medical exam and detailed facial analysis as well as review your medical history and any medications you are taking. At your consultation, you will have photos taken with our Vectra 3D imaging system and discuss treatment areas and options while viewing your photos series. This ensures you can address all areas of concern with your surgeon. With our state of the art Canfield software, potential surgical results can be viewed and adjustments can be made, helping you to visualize possible outcomes. We will focus on surgical preparation with skin care recommendations as well as using adjunctive treatments such as BOTOX® Cosmetic, laser or injectable fillers to optimize your results in the safest manner possible. Why is brow lift surgery for me? Much like the double-chin, a heavy brow can be passed along in families. In others, natural aging or weight loss can be the factors that lead to a the appearance. Brow lift is a powerful and durable surgical procedure that elevates your brow and results in a well-rested, refreshed appearance. Frequently brow lift is combined with eyelid surgery and facelift as part of a comprehensive facial rejuvenation program that may also include BOTOX® Cosmetic, laser treatment, or an injectable filler. Over the years our patients consistently say that the fresh and well-rested look they see after brow lift surgery is definitely a “worth-it” procedures. It is important to ask if your surgeon is Board Certified by the American Board of Plastic Surgery. As Board Certified plastic surgeons at Restore SD, we have years of training and expertise in facial rejuvenation surgery that cannot be imitated by short courses and alternative certifications. Ensure that your surgeon is proficient in facial rejuvenation surgery and capable of handling any complications. The American Board of Plastic Surgery is one of 23 members of the American Board of Medical Specialties. These specialties represent the traditional core of fully trained specialists. Alternative boards have cropped up over the last several years to lend legitimacy to incompletely trained or poorly trained practitioners. Accept nothing less than a surgeon certified by the American Board of Plastic Surgery who preferably is a member of the American Society of Plastic Surgeons (ASPS) and the American Society for Aesthetic Plastic Surgery (ASAPS). Why should I choose Restore SD for my brow lift surgery? The surgeons at Restore SD Plastic Surgery have over a decade of experience with cosmetic and reconstructive facial surgery. Drs. Douglas and Gallus are both board certified by the American Board of Plastic Surgeons and active members of the American Society of Plastic Surgeons and the American Society for Aesthetic Plastic Surgery. In addition to being fully credentialed, we take the time to listen to your goals and partner with you to develop the best and safest surgical plan that will optimize your results and leave you looking and feeling your best. 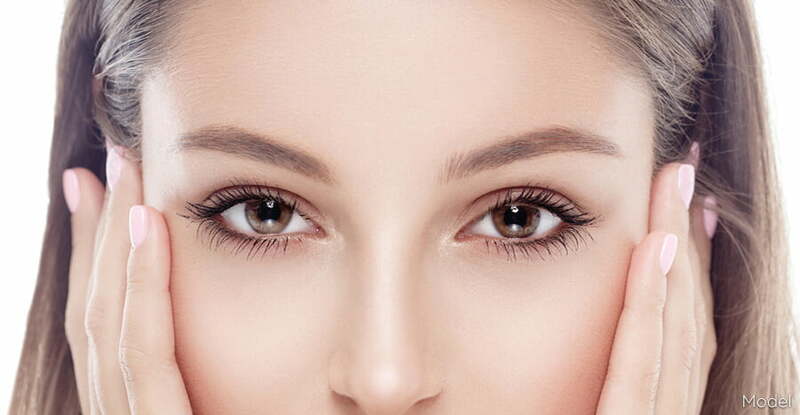 How long do the results of brow lift surgery last? Brow lift surgery is very durable and will provide many years of a refreshed and youthful look. Over time, skin laxity and aging will contribute to some subtle relaxation of the facial features and a little touch up years down the road may be desired. There are many factors that determine the length of time that a surgical procedure lasts and your Restore SD surgeon will discuss a comprehensive aftercare program that includes sun protection and skin care. How much time off work should I take after brow lift surgery? Depending on your profession, you should expect to take 1 to 2 weeks off from work. You will not be able to drive until you are no longer taking narcotic pain medications. You will need a ride home after having general anesthesia and have a friend or family member stay with you for the first night and a day or two if possible. How do I minimize post-operative scarring after brow lift surgery? Unfortunately, scarless surgery does not yet exist. However most brow lift techniques use small incisions that are hidden in the hair. Your Restore SD surgeons will educate you about scar management postoperatively. A surgical scar will take 9 to 12 months to fully mature. Your scar will go through changes during the healing process and your Restore SD team will help you manage this part of your recovery. This can consist of sun avoidance, scar massage, scar cream, and fractionated laser treatments. What should I do to prepare for brow lift surgery? If you have close friends or relatives who have had brow lift surgery – start there! A personal story of their journey may guide you to questions to ask your surgeon, and having someone with a shared experience is invaluable. Educate yourself by reading our procedure page and viewing our educational videos. Other sources of information include RealSelf and WebMD. I am a smoker – can I have brow lift surgery? I have Diabetes – what do I need to know about brow lift surgery? How soon can I travel after having brow lift surgery?